Festival Betances | IBA Boston | Inquilinos Boricuas en Acción empowers and engages individuals and families to improve their lives through high-quality affordable housing, education, and arts programs. July 21st and 22nd, 2018 at Villa Victoria Community of Boston’s South End, 100 W. Dedham St.
New England’s longest-running Latino Cultural Celebration. Join Us, Learn of Ways to Participate! This year’s lineup includes world-renowned artists including Andy Montañez, Giro López, Julio César Sanabria, and 3NITY featuring Zayra Pola. Festival Betances has become a staple in New England’s Latino community. 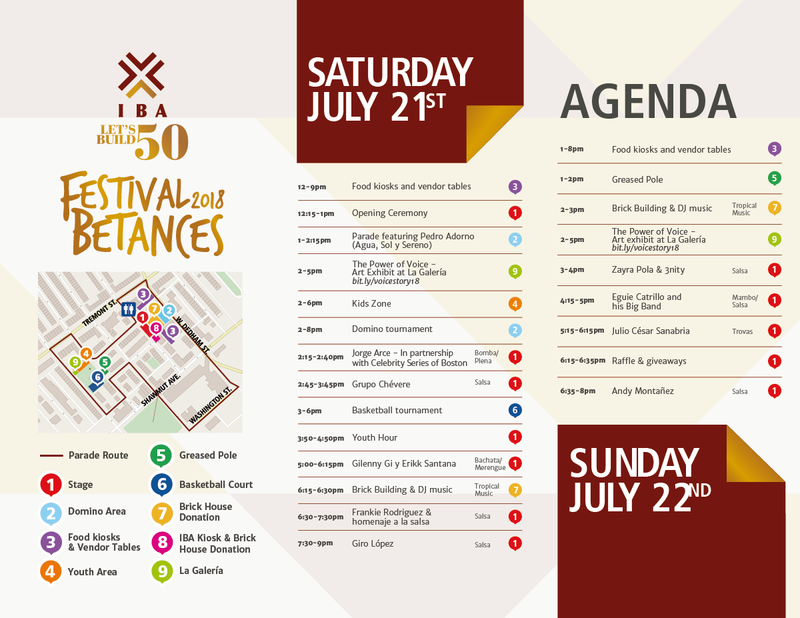 As we celebrate our 50th Anniversary, we’re making Festival Betances bigger and better than ever. Every year it draws a 3,000 multi-cultural audience. 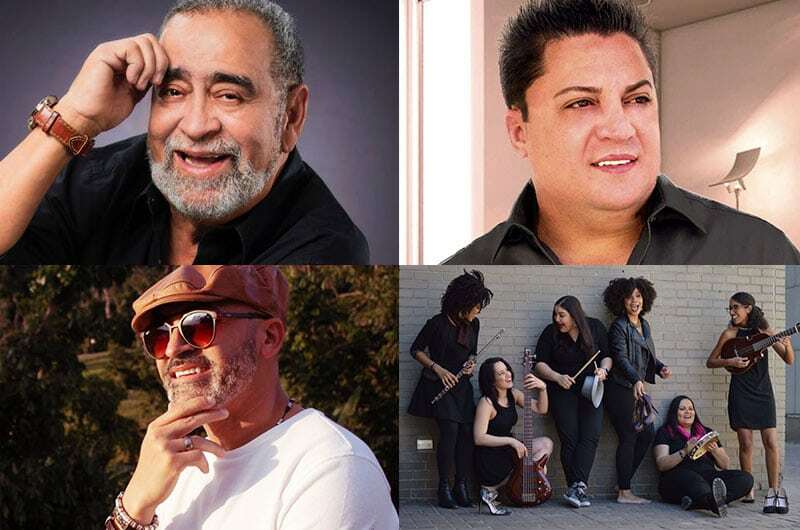 Through the years, Betances’ stage has seen multiple musical and dance performances, ranging from local and regional acts to international Latin music icons such as Larry Harlow from Fania All Stars, Tony Vega, and Tito Rojas. The Festival is named after Ramón Emeterio Betances, a Puerto Rican patriot whose medical contributions benefited Latin America, the Caribbean, and the United States. He also became a leader in awakening national consciousness in Puerto Rico, and is considered one of the foremost intellectuals of the 19th century. There is a plaza and a mural dedicated to him where the festival is held. Our family-friendly weekend includes: a parade, traditional cuisine, arts and crafts, a greased pole competition, children’s activities like face painting and inflatables, and other treats that highlight the diversity of Latino culture. Let us know what you’re most excited about for Festival Betances this year on our event page!